hard work and the importance of family. great shape and had a passion to help others as well. doing it for gratitude or attention, he was just being Bub. A big hug was common from Bub to all who knew him. Bub loved people from all backgrounds and had a special bond with his “bro’s” who were former or current teammates. He loved his family dearly, and cherished large family dinners, gatherings and events. Bub would often just grab you spontaneously and give you a great big bear, no, Bub Hug, and tell you he loved you. After his junior year in high school he was recruited nationwide to play Division I football and was offered numerous scholarships. After considerable thought he chose to stay home and play for defensive end for the Nevada Wolfpack. 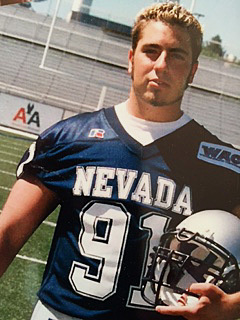 Bub loved his community and although he could have played for notable college football teams such as schools as Michigan, UCLA, Purdue or Washington, his heart was to stay in Reno and became a hometown favorite. After his sophomore year with the Nevada Wolfpack, he had a back injury as well as a torn patella resulting in knee surgery. The painful physical injuries caused him to spend much of his time in physical therapy working on rehabilitating both his back and knee. With heavy sadness he had to give up playing football, a game that taught him commitment, teamwork and discipline. His physical presence on the field disappeared, but his love for the game never left him. Football was and would always be a deeply impactful and significant part of his life. 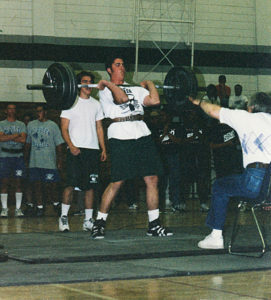 In 2003 Bub went to Maui, Hawaii and attended the International Fitness Program of Strong Stretch and Centered School and became a personal fitness trainer back in Reno. He also attended specialized training in New Jersey and was a part of the Parisee Speed School, teaching young and upcoming athletes proper technique, pushing their limits and exceeding goals. 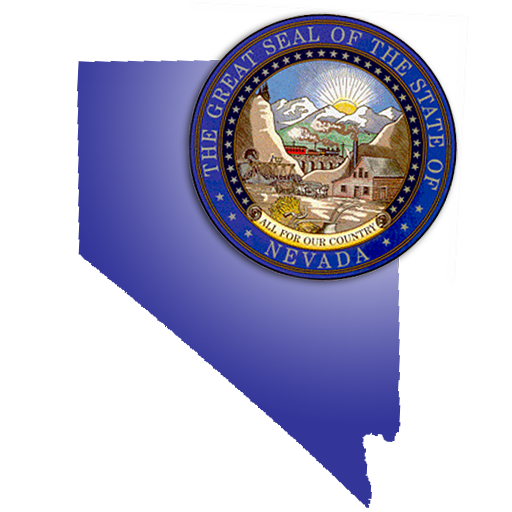 In 2008 he received his Nevada Division Insurance Life, Accident, Health, Property and Casualty Series 7 and 66 and attending was employed by Wells Fargo Bank and Investment. Bub loved being around and spending time with his family, he especially loved watching his niece and nephew with their childlike curiosity and carefree simplicity. 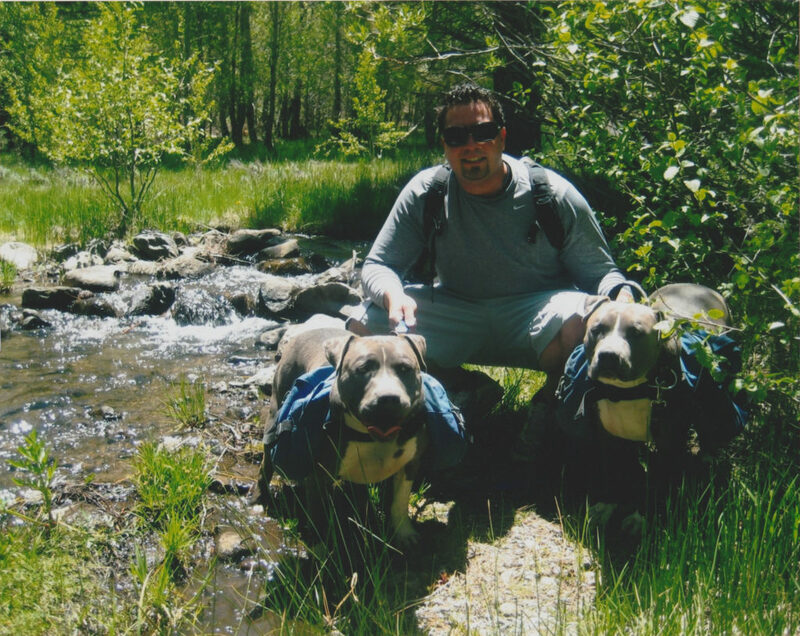 He loved his rescue pit bulls companions Koa and Flex, who were forever at his side hiking in the mountains, listening to music and even wrestling with them. Bub’s patience and kindness was second to none. Teaching his clients, students & athletes or friends fitness or teaching the art of fly fishing as he did his father, his guidance and inspiration was amazing. He loved his community, family and God. He will be remembered as wonderful loving son, brother, uncle, athlete and Native Nevadan. His legacy will live on through this foundation to inspire and educate fellow students & athletes to seek proper pain management and rehabilitation for sport related injuries by caring, qualified and educated health care professionals who have their sincere well-being at heart. 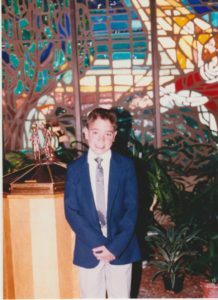 It is crucial that with our life loss of Bub that reform and new legislation be enacted to protect patients to include students & athletes and educate the medical care profession on the dangers of pain killing prescriptions.